Add sparkling animation to your outdoor spaces in a convenient, hassle free installation process. 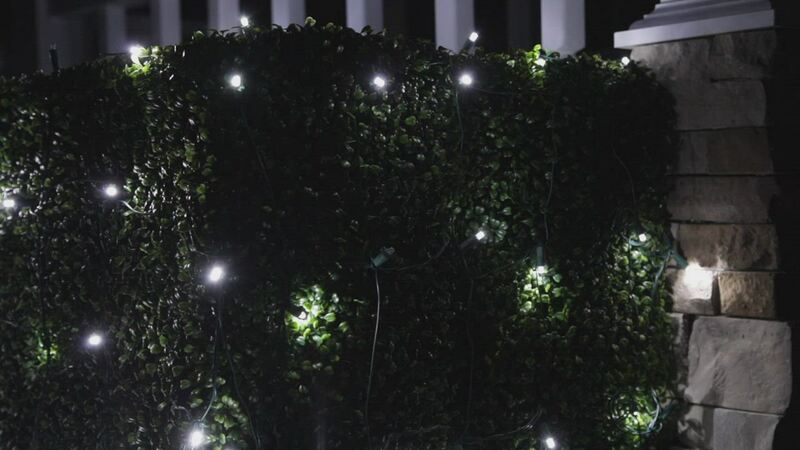 5mm twinkle pure white LED net lights are energy efficient, highly durable and engineered to maintain professional display even in harsh climates. Drape twinkling cool white LED net lights across bushes and greenery to create whimsical Christmas light displays with ease. 100 cool white LED net lights on a 4' x 6' green wire. Perfect white lights! Well made with great coverage and beautiful looking lights! Just the right amount of twinkling! Only a few bulbs actually twinkle. Waste of money. Very few of the lights actually twinkle; the rest are steady on. Very disappointed. TWINKLE ICICLES WORKED PERFECTLY. QUICK DELIVERY. HAVE ORDERED FROM COMPANY BEFORE & WILL CONTINUE.